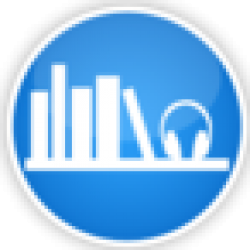 ABR's full Rewinder audiobook review and many others can be found at Audiobook Reviewer. Time travel, alternate history and a nest of paradoxes. The rewinders are a group of scholars who go back in time to verify the lineage of the 21st Century British aristocracy who pay for the service. In this reality, the American Revolution never occurred and all is British and bleak. The rewinders must only observe the past and never risk changing anything. Obviously, that’s what happens. 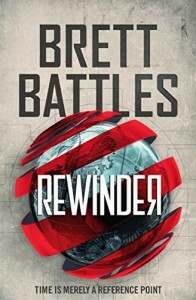 Rewinder is a generally good twist on the much used themes of alternate history and time travel. The historical references and detail ring true and give the story weight. Within the time travel elements, there are plenty of paradoxes and self-duplications. Battles just explains them away as that’s just what happens when you time travel and they don’t matter. It does make you think about the difficulty of it all, that even a small change could affect everything. The story is written in the first person, present tense, so you are inside the main character’s head the whole time. This can get claustrophobic at times. Other times it gets tedious, as he enters our time and explains what we call phones and cars. Uh, we know what a car is. Narration by Vicas Adams, who does an adequate job. His voice has a specific tone and quality that took this listener some getting used to. It is recommended that you listen to the audio sample and decide if this is a deal breaker. The production quality is excellent and he is certainly a professional. Rewinder is not ground breaking, but is a pleasant listen. At about the length of a cross country plane flight and back, it is easy to stay with it.